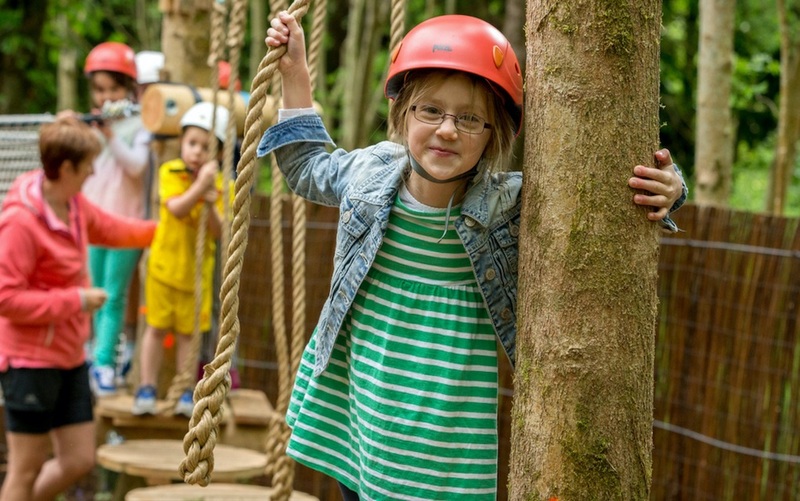 The Castlecomer Discovery Park is a multi-activity family friendly Park in Kilkenny. There is a full day out of activity at Castlecomer Discovery Park, with activities for all ages from toddler playgrounds to Ireland’s longest zip wire. 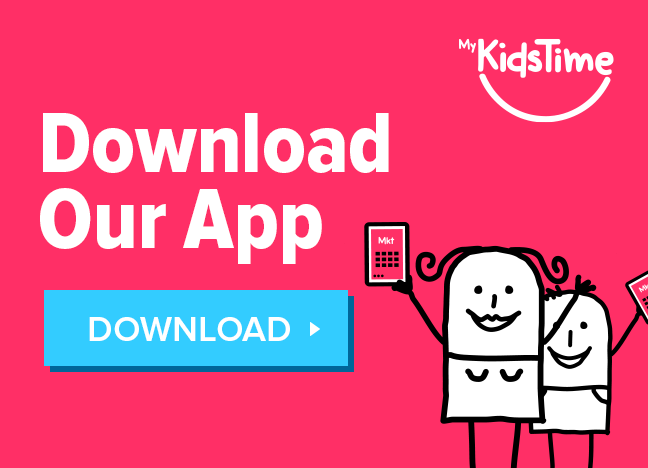 Go screen free for a day of outdoor activity that promises lots of smiles! 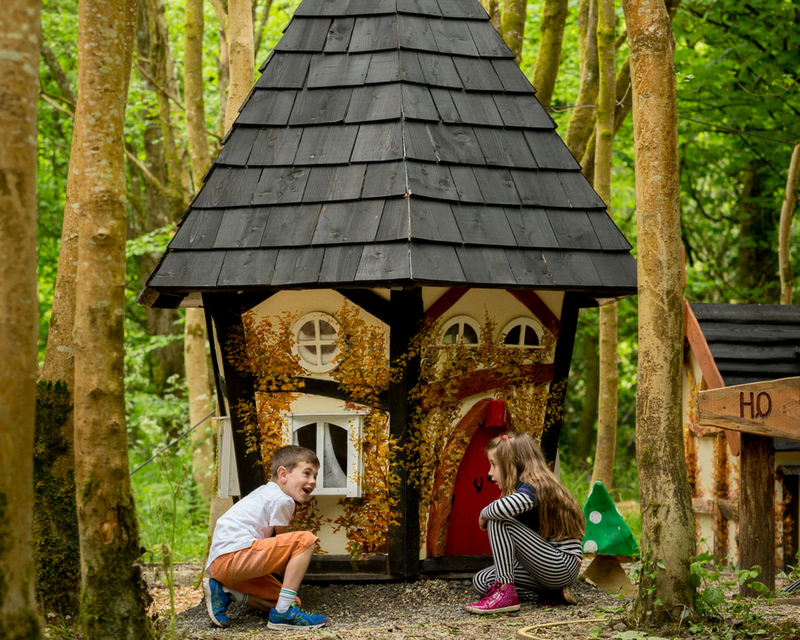 What is Castlecomer Discover Park? 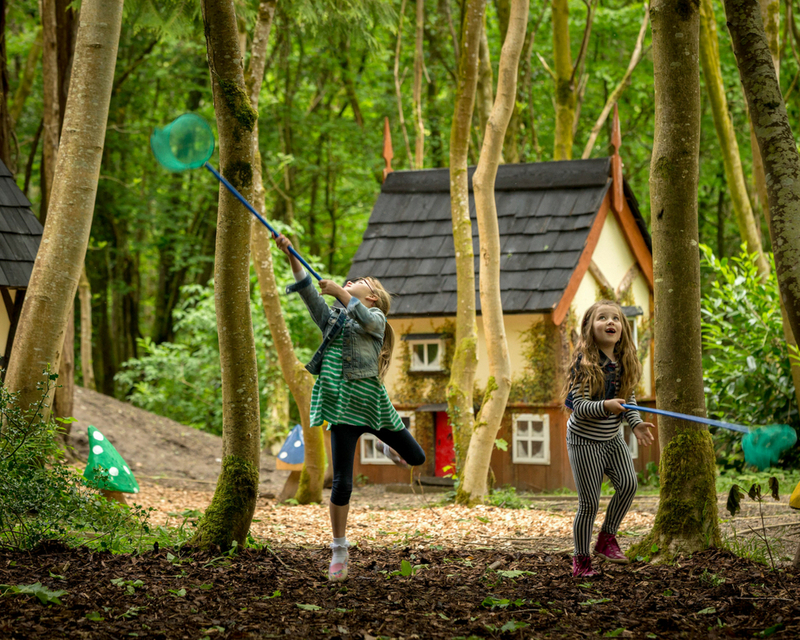 The award winning Castlecomer Discovery Park is a stunning 70 acre woodland recreational & educational activity park. 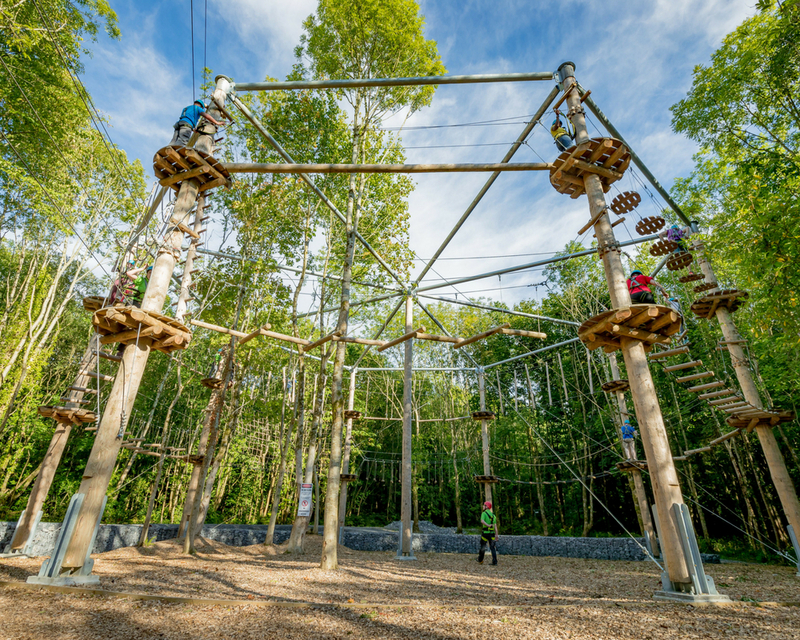 It offers a range of adventure activities including tree top walks, Ireland’s longest zip wire and high ropes challenge, climbing walls, boating, archery, adventure playgrounds, woodland café and orienteering. At the hub of the site there is the Irish Mining Museum, a purpose-built cafe, craft village and spaces for educational activities. 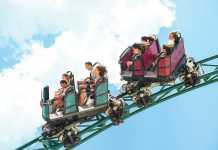 Set in the former grounds of the Wandesforde Estate, Castlecomer Discovery Park is located just under 20km north of Kilkenny City, just 90mins from Dublin City, with close proximity to the M7, M8, M9 motorways and was opened to the public in 2007. Castlecomer Discovery Park is a Social Community Enterprise operating on a not-for-profit basis. It’s supported by volunteers from the local community, and governed by a board of voluntary directors. Any profit is re-directed to developing the park. They provide 3 woodland trails suitable for all ages which circle in and around 70 acres of stunning natural woodland and lakes. The trails vary from 1.5km, 2km, and 5km, where you can cycle, run, jog, walk at your own pace. There’s scenic picnic areas dotted around the park along with 3 permanent orienteering trails in the woods, 1km, 2km, and 3km in distance. The Coal Mining exhibition comprises a 45 minute tour through Castlecomer’s coal mining past. It’s an interactive multi-media display that takes the visitor on a journey through time. Starting with the formation of the coal 300 million years ago, it brings the visitor through more than 300 years of coal mining history to the closure of the mines in 1969 with the ex-miners’ recordings of their amazing underground experiences. Visitors can savour some fantastic local, seasonal foods at the award winning Jarrow Café, with their kid-friendly menu (catering for parties available). 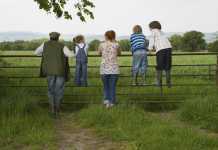 Castlecomer Discovery Park offers great value activities for all ages. Visit the Tree Top Walk course nestled in the Sycamore tree tops! This stunning tree top walk is 140 metre long and gives views around the 70 acre natural woodland park. Or if you want to try something a little less daunting, why not reach new heights on our great outdoor climbing wall, with varying levels for all the family to enjoy. For the more adventurous there Ireland’s longest zip line. The Zip Line at Castlecomer Discovery Park is 300 metres long and over 35 metres over ground at its highest point. A thrilling outdoor activity the Zip Line is accompanied by two new high-ropes courses called the Octagonal High Ropes Challenge. These are set in high in the woodlands with views over our two lakes. Teaching children to become more active and to discover and play for themselves is important for all ages, so Castlecomer also caters for younger children, with a playground, an elf and fairy village, and series of low-risk challenges where children balance and steer their way through a Junior Woodland Adventure Course, all situated inside a stunning, natural environment that’s second to none. You can also try your hand at archery which is really a skill that young people love to tackle. Suitable for ages 8+ why not channel your inner Robin Hood! There really is something for everyone, with 6km of walking trails, woodland orienteering trails, pedal boats, canoes, our fascinating interactive coal mining exhibition telling the story of the local mining heritage. You can also relax over a hearty meal or tasty snack at our “Canopy Café” under the trees at the elf village. 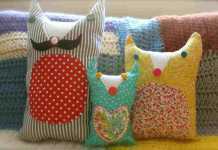 Then take a walk around the craft yard, where you can meet the craft makers and find a novel gift. It offers a range of educational and recreational programmes suitable for Primary, Secondary and VEC schools. All are designed to cover topics within Geography, Science/Ecology, Maths, History, CSPE, LCVP and Transition Year. Learning takes place in our 80 acre woodland, education rooms and coal mining museum. Many of the makers are graduates from the Crafts Council of Ireland training courses and range from, from potters, jewellers, stone masons, painters, and interior designers. Visit their beautiful stone workshops based in the former stable yard to see how they design and craft their beautiful work. Chances are you’ll find a novel and beautiful gift or you may leave inspired to return for a ceramics or mosaic workshop! Absolutely everyone, from grandchildren to their grandparents! Why is Castlecomer Discover Park different from other Parks? Castlecomer Discovery Park is continually being restored to its former glory. The Estate Yard was once the farmyard, stables and kitchen gardens providing the fresh produce for the Wandesforde family and many who lived and worked on the estate during the 1700’s. Restoration has included 17th century stone walls and bridges, the stables and Estate yard, while also reinstating the old lakes, and installing a museum to tell the heart-warming story of the coal miners who worked the local mines for 300 years. Outdoor adventure activities – Tree Top Walk Activities, 3 Orienteering trails, 6km Woodland Trails. 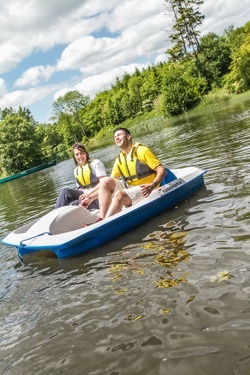 Water based activities – Bait & Fly fishing, and Canadian canoe & pedal boat hire. Tell us in five words why we should visit? Educational, Outdoor Family Day Out. Over to you. If you have visited the Castlecomer Discovery Park please tell us about your experience in the comments box below.